Don't forget to grab the Valkyria Chronicles 4 demo! The demo itself is quite meaty, giving you access to the prologue and first two chapters of the game, as well as a bonus mission created exclusively for the demo. Any progress you make will carry over to the full game too. The full game itself releases on September 25. Not a long wait by any means! 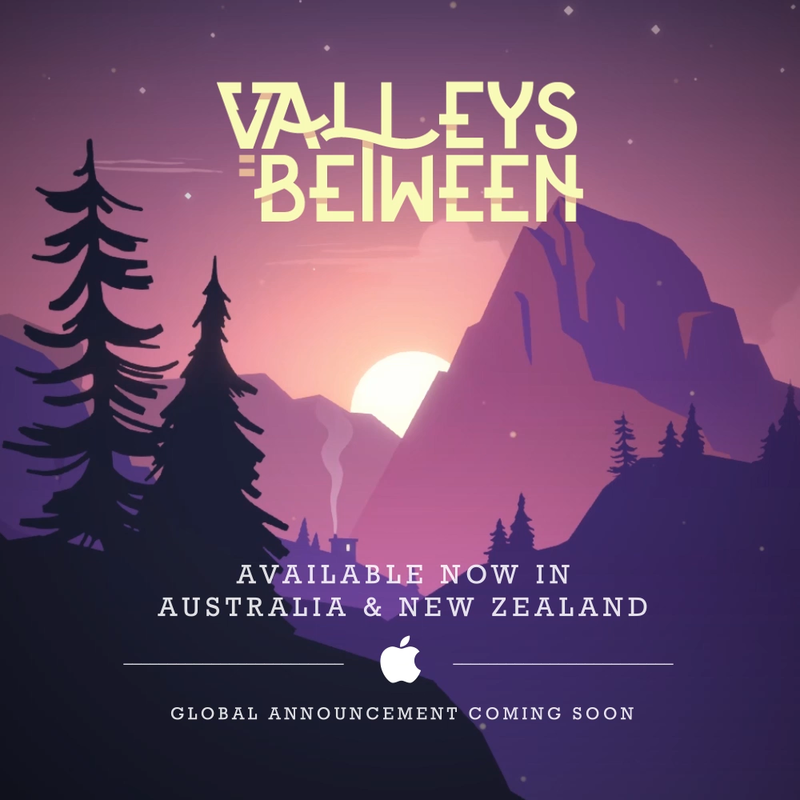 If you live in New Zealand or Australia (and you have an iOS device), you're one of the lucky few who can now buy Valleys Between, after developer Little Lost Fox soft-launched it in the region last week. For everyone else, the studio will be making announcements about a global release and Android version "soon." Valleys Between is described as a "a game about creating life and balance in a forgotten world." By raising and lowering hexagonal tiles to shape the environment, and observing how different tiles interact with one another, players are able to grow their world. Different seasons bring different challenges, and by finding hidden animals, players can populate their landscape. More good news is that Valleys Between has no in-game transactions or ads; an upfront cost of AUD/NZD $4.49 gets you the full game. The last thing you want in a game designed to be a relaxing exploration of environmental issues is to be constantly interrupted by free-to-play nonsense, so the decision to go with a "premium" payment model certainly seems like a good one. It's nearly time for our return to Arland in Gust's upcoming Atelier DX releases, including Atelier Rorona: The Alchemist of Arland DX, Atelier Totori: The Adventurer of Arland DX, and Atelier Meruru: The Apprentice of Arland DX. And you know what that means: trailer time! Each of the three titles includes all available content for it, including DLC. The games can be purchased separately, but there is also a Premium Box available for each platform that includes all three titles that just screams "buy me!" Physical copies of the games will include a download code for each title's soundtrack. Published by Koei Tecmo, the Atelier Arland DC trilogy is coming to Nintendo Switch and PlayStation 4 on September 20 in Japan. Over in Japan, when Persona 3 and Persona 5 launched, there was a super special edition that you could buy into which had all kind of bonuses, including soundtracks and, most importantly of all, a digital code for Persona 4 Dancing All Night on PlayStation 4. Previously exclusive to the PlayStation Vita, Persona 4: Dancing All Night is one of the best rhythm games of all, and the limited edition is the only way to get it on your PS4 - it's not available for separate purchase. I'll not lie, I bought this special edition principly for that game, knowing that the two base titles were getting an English localisation, and I'd be able to play them anyway. Thankfully that special edition is being recreated for the west, and you'll be able to get Persona 4 Dancing All Night in the $Aus169.95 special edition when it launches on December 4.